Our first year growing sunflowers. Kat uses them in her flower bouquets. Our purple crape myrtle flowering after dying back almost to the ground this year. I couldn't resist. Yet another zinnia shot. They're so vibrant this year. We were gone this week to say goodbye to our sweet God-child, Becca, and when we came home, these beauties were here to welcome us, a gift from above. 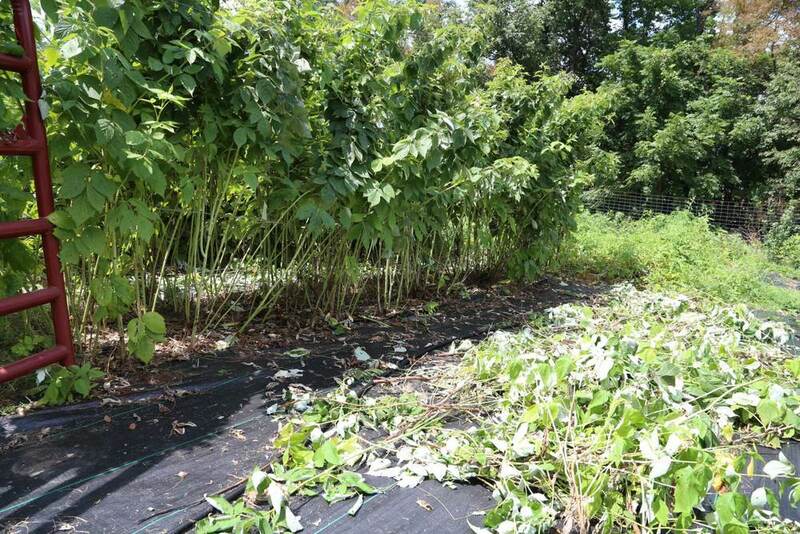 Thinning our primocane (also called fallbearing or everbearing) raspberries. I think this variety is 'Caroline'. It seems to be the most vigorous of what we've planted. 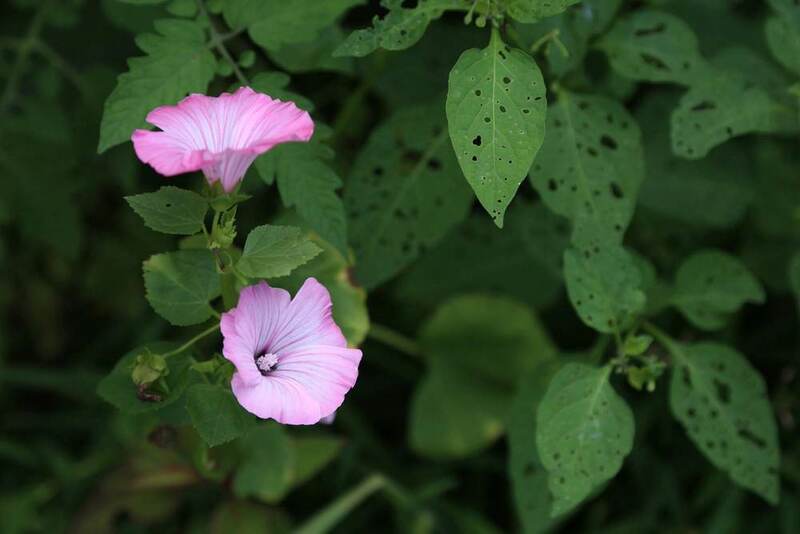 An unknown flower popped up amongst a set of wildflowers that Katherine seeded. Any ideas on what it might be? An immature Saijo persimmon sizing up. 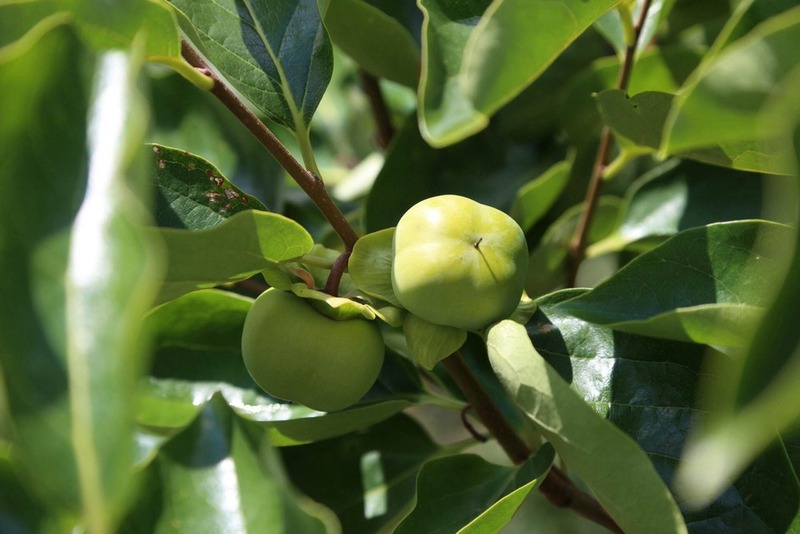 Asian persimmon has to be one of my favorites for the orchard: little care, beautiful trees and delicious fruits. 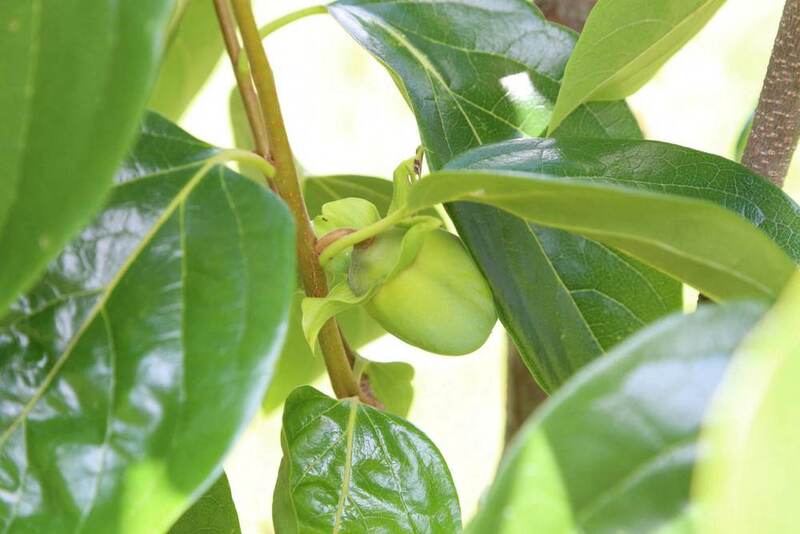 Saijo is purportedly one of the most hardy of the Asian persimmons but it flowered very little this year. This was one of three fruits it set. A cluster of Great Wall Asian persimmons. This little tree still set a very nice crop of fruit after a long and hard winter. It seemed to do the best of all. One of our potted figs loaded with fruit this year. This is a variety called Latarolla. Our first ripe figs of the season: Desert King. This is a San Pedro type (needing pollination for the second crop), but will set a breba crop just fine. This means that it'll fruit from formed buds on last year's wood. A ripe Desert King. A good fig for us but never sets a very heavy breba crop. I'm hopeful that it will after a number of seasons.